Uniqson Analytics International is set to receive the prestigious Big Data Excellence award. March 23, 2019 /MarketersMedia/ — Uniqson Analytics International is set to receive the prestigious Big Data Excellence award at a gala dinner event on 23rd March 2019 at the Sofitel Wentworth in Sydney. The award is specifically focused on recognising teams & end user organisations that are doing groundbreaking work to deliver business outcomes using Data Analytics. The aim of the ceremony is to recognize and single out outstanding individuals and companies that has contributed to data analytics innovation around the world. Held for the first time in 2019, it will bring together investors, start-ups, entrepreneurs and established data analytic firms from the data analytics industry and identify the most cutting-edge innovations. The event comprises of a list of categories where hundreds of candidates vying for the awards are expected to show up. Stefan White, CEO of Uniqson Analytics International, will receive the award at the gala dinner. The Awards attracted interest from over 30 organisations across the world, from which 18 entries were received. 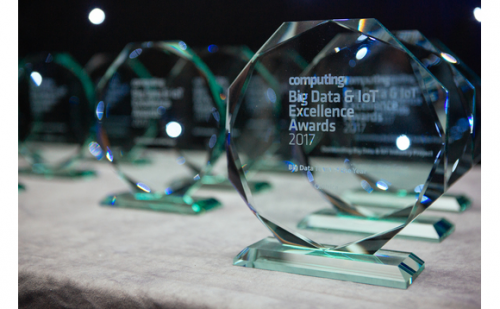 They were judged by a team of independent industry experts that conferred 5 Awards that clearly demonstrated best practices in developing and deploying Analytics techniques. Uniqson analytics international is a global measurement and data analytics company founded in 2009, USA, that helps global clients develop new ways to utilize data through cutting-edge analytic technology in industries such as media, advertising, retail, food & beverage and fast-moving consumer goods industries. Uniqson Analytics International is well-known for being a pioneer in combining new technologies with traditional analytical systems. This is evident in their proprietary Uniqson Blockchain Big Data System (UBBS) that utilizes Artificial Intelligence and Blockchain technology, a revolutionary approach that allows clients to engage and understand consumer behavior within a secure environment. Big Data is emerging to be one of the world’s largest industries, with estimates of revenues exceeding 200 billion US dollars by next year and is expected to generate up to 100 billion US dollars in annual income by 2030. These numbers have given rise to new Data Intelligence services aimed towards institutions, governments and businesses to better receive and analyze various forms of data to directly increase their bottom line.